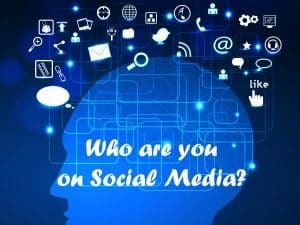 Social Media tips: Are you a Twitter Egg? Have you noticed the dozens and dozens of colourful eggs on Social Media today? Time after time when you visit Twitter, Facebook or LinkedIn, there are eggs. There are spamming eggs, well-known eggs and eggs that really should not be eggs! It’s official, there are good and bad eggs. The time has come to put all these Twitter eggs in one basket; actually no let’s put them in a frying pan and cook them up! What is this “twitter egg” topic all about? For those of you on social media platforms, how many of you use an egg as your avatar or image? Is this egg really you or is the shell an exterior to protect your real identity? Why are you hiding? More importantly what does an egg say about you or your business? Regardless of whether you have just embarked on your new social media journey, one of the first things to remember is to upload a professional image of yourself or your product. Why? Think about this: what does a Twitter egg say to your audience? Will they ask: What message are you sharing as a representation of you and your business? To be honest my view says an egg spells spam! This is the one of the first things that springs to mind. Then other words like unprofessional and fake … do you get the picture? Each time you imprint your mark or your “business stamp”, whether it is your business card, an email, or your online conversation, it is vital to ask yourself this question: “Does this meet with my brand?” Think about your own standards and values that you have chosen to believe in, to commit to and to promote. Do you meet them every time? Is this the perception others see? How are you building your reputation and credibility in the eyes of your audience? Remember the egg? That’s not you. Remove the egg. Scramble it, fry it or poach it. Unless of course you ARE a chicken farmer, egg distributor or an omelette maker supreme! Even then your own egg business logo or you personally must become your avatar. Delete the twitter egg and replace it with something more authentic. Allow prospective connections and customers to see the real you and what you stand for. Demonstrate to your market that it is your clear intention to be taken seriously. Seal your mark of approval both online and offline with a professional image and a credible reputation. Remember, eggs are for eating, not for tweeting!